With Questions Looming, Who's the Guy in the Huskers' Backfield? Before last season, Nebraska hadn’t gone consecutive years without a 1,000-yard rusher since the 2005 and 2006 seasons. Ameer Abdullah was the last guy to crack that mark in rushing. He’s now in the NFL. Terrell Newby came close last season, with 879 yards on 190 carries and a 4.6 average, but Nebraska enters this season hoping to avoid something it hasn’t done in more than 30 years, go three straight without a 1,000-yard rusher. Juniors Mikale Wilbon and Devine Ozigbo, sophomore Tre Bryant and true freshman Jaylin Bradley form a backfield for the Huskers this season that, so far, looks to be another “by committee” approach. 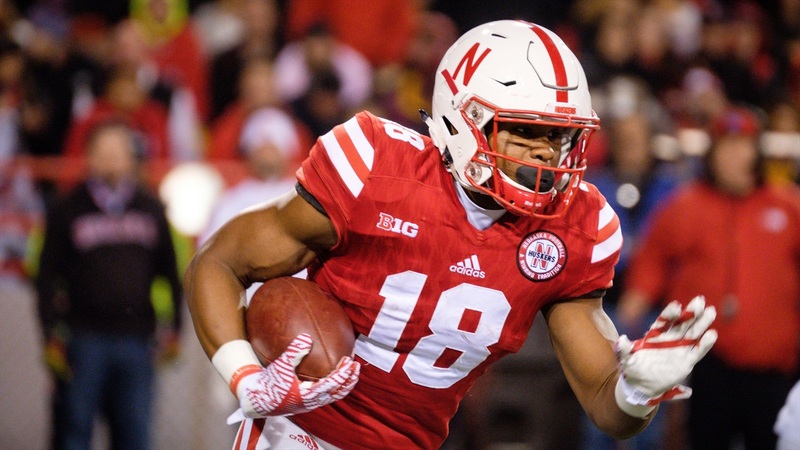 Newby is gone, and the veteran faces in Langsdorf’s backfield this season don’t even have a combined 1,000 career yards between them (Ozigbo has 621 yards in two years and Wilbon has 124 yards in the same time frame). One back who has gotten love from the coaching staff in terms of reps with the first team is Bryant. The 5-foot-10 back from Saint Louis, Missouri, showed an ability to hit holes hard in limited action his first season, as well as quick feet out of the backfield in passing situations throughout the start of fall camp. Still, everyone is getting a chance to take the job and run with it. Another name to watch out for? Bradley. “He’s really athletic and talented, which has stood out to me,” Langsdorf said of the Bellevue native. "When he has the ball in his hands, he’s explosive and fun to see." Bradley isn't a typical freshman though, at least, not in Langsdorf's eyes. For the time being, Bradley is looking up on the depth chart, and working on special teams, but his play has him “in the mix” for some touches early, running backs coach Reggie Davis said. On the first day of camp, head coach Mike Riley was impressed with the approach of the entire group, their willingness to come in and work and their attitude. Now, almost a week in, Langsdorf said he’s still seeing the same. Langsdorf said he’s pleased with the fact that his backs aren’t dancing around holes, they’re not trying to be too fancy, but rather making sharp, decisive cuts and getting downhill. Questions along the offensive line and a lack of a clear-cut number one option at tailback has sapped interest in the backfield heading into the season. But the Huskers’ staff sounds hopeful to start sorting things out as early as Saturday, when the full pads come out and the hitting starts. Maybe one of them is worthy enough to break that 1,000-yard drought, too.